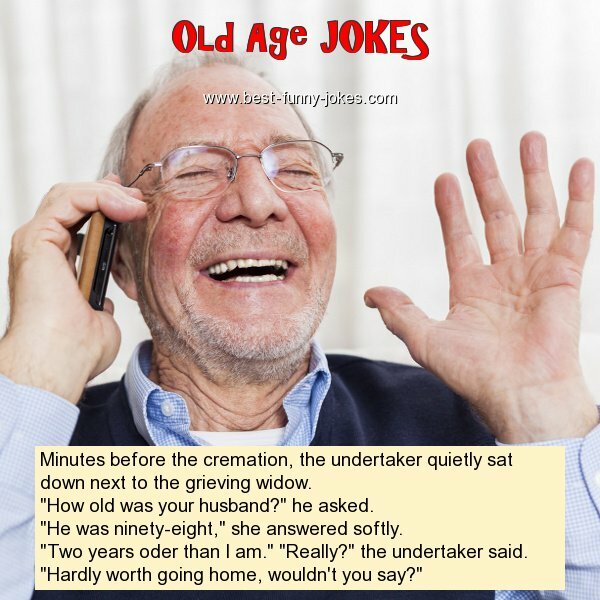 Minutes before the cremation, the undertaker quietly sat down next to the grieving widow. "How old was your husband?" he asked. "He was ninety-eight," she answered softly. "Two years oder than I am." "Really?" the undertaker said. "Hardly worth going home, wouldn't you say?"